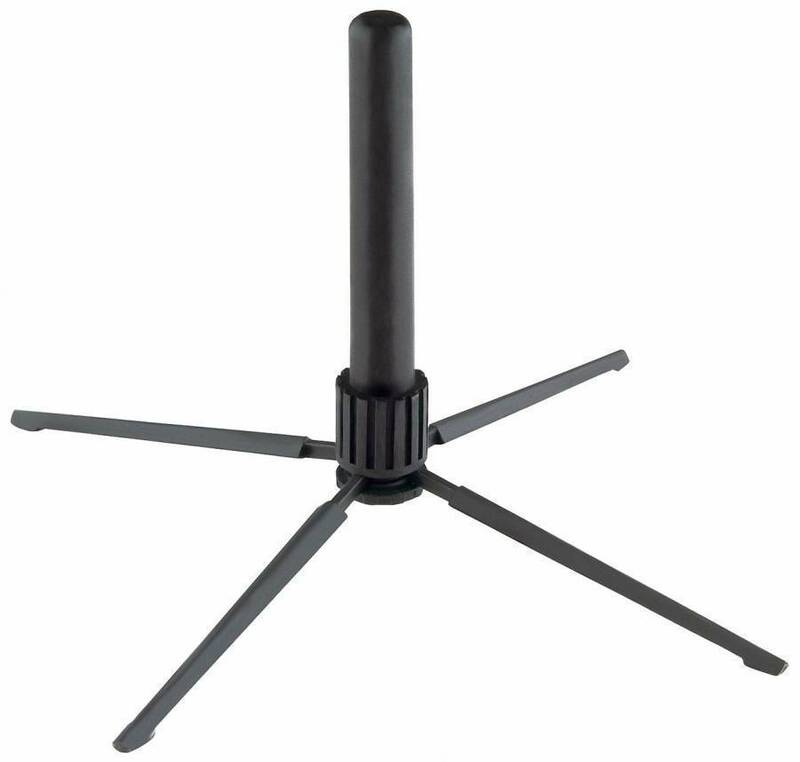 Unique, compact and extremely light flute stand with 4-leg base for Bhm flutes and/or cross flutes. Plastic peg diameter 18 mm. The zinc die-cast legs ensure a very high stability. Folded up the stand fits in almost every pocket. The flute stand is supplied in an attractive transparent bag which can be worn around the neck.